In an earlier post, I wrote a little bit about using the Third Alternative concept as a way to resolve disagreements without resorting to traditional, and sometimes disappointing, methods of negotiating a compromise. Blogger Patty Newbold often writes about how to apply this method to disagreements in marriage. Inspired by her, I am considering how a couple might find third alternatives for one of those silly, stubborn disagreements that often become a recurring source of frustration and bickering in marriages. Whether we live with roommates, an extended family, a spouse and kids, or simply as a couple, sooner or later we will run into situations where someone habitually does something in a way that is in direct conflict with the way someone else habitually does it. If nobody really cares about the matter, or if one person cares and the other is willing to change, then there is no problem. But sometimes these matters take on a huge significance. The situation may be trivial on the surface, but there is something about it that seems offensive to our sense of order, grating on the nerves, intolerably inconvenient, and just plain wrong. And when two people feel that way about each other's way of doing something, conflict is inevitable. 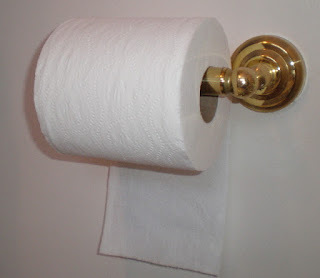 A classic dispute is whether the toilet paper should be placed with the edge hanging down the front (toward the user) or down the back (toward the wall). Interestingly, some people never notice this at all. Others notice but don't care, while many others have a mild or medium preference for one way or the other. Some people feel very strongly about which is the right way. When two people with strong, opposing preferences face each other over this issue, it may seem that they are at an impasse. There are only two alternatives, because it can only go one way or the other. But is that really true? Imagine a couple, Ralph and Alice, who have been bickering about the toilet paper position for some time. Alice wants the paper's edge to hang down the front. She can't remember ever having it any other way. She thinks it looks better that way, but what really matters is that it's easier to grasp, especially at night when she doesn't want to turn on the light. Ralph grew up in a house where the paper always hung down the back. He thinks it's much easier to find the edge, because it's right there against the wall where he expects it. Besides, the front position is a problem because it makes it easier for Norton, the couple's cat, to amuse himself by unrolling the entire roll and shredding it. Ralph and Alice agree that they each would like the other to be satisfied. They take notes about what each person wants and what each wants to avoid. Alice wants easy access, and so does Ralph. Ralph wants to minimize the chance that Norton will unroll the paper. They both want to avoid something that looks bad. Now comes the fun part, as Ralph and Alice begin brainstorming. They propose as many ideas as they can come up with, no matter how crazy they sound. Then they evaluate the ideas to see which ones are likely to give each person what he or she wants, while avoiding the things they don't want. One idea is to have two toilet paper holders, one turned out and the other turned in. But this won't stop the cat, and both Ralph and Alice agree that it would look bad. 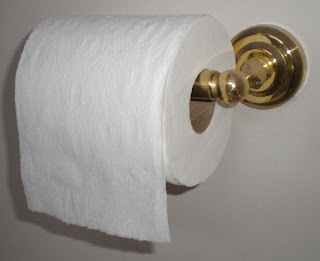 Another idea is to forget about holders altogether, and just set the roll on top of the toilet tank. Ralph thinks this would look okay, but Alice doesn't, and it would make it too easy for Norton to knock the roll down and play with it. The house has two bathrooms, so they consider the idea of his-and-hers, but since one bathroom is downstairs and the other upstairs, this would create too much inconvenience for someone, especially at night. 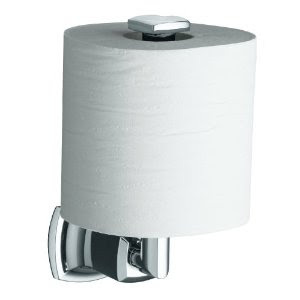 Ralph suggests a dispenser that holds individual sheets instead of a roll. Alice considers this, but decides that it just doesn't look right to her. Looking for more ideas, they visit the local home improvement store, where they discover vertical holders. Ralph and Alice burst out laughing as they realize they both like this arrangement. It's convenient for both, and they suspect it will not entice Norton the way the front-roll setup does. It took some time and effort, but treating this as a problem to be solved together rather than a fight to be won was actually an enjoyable experience for this couple. They have ended an ongoing dispute, leaving themselves more time for pleasant conversations. And a glance at the new paper holder often makes them smile as they remember the fun they had working on this project together.